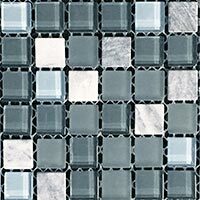 Create a decorative style on walls with these glass mosaics which feature a patchwork pattern. 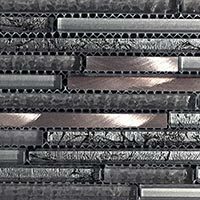 They are ideal if you are looking to provide interiors with a standout feature. 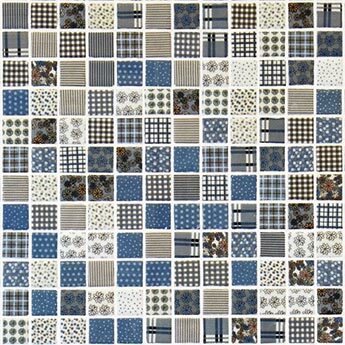 They have a predominantly blue colour, with white and grey elements also present. 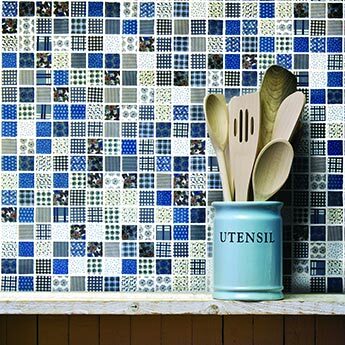 These square mosaics have a traditional appeal which means they can provide modern kitchens with a retro charm. 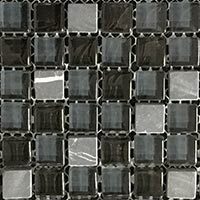 As part of a backsplash design, not only will the intricate style transform the look of your kitchen but the highly polished glass surface will also prove invaluable when it comes to cleaning. 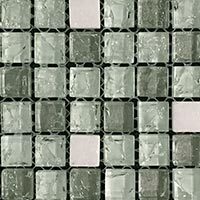 It is no surprise that these high quality glass mosaics have been selected for a vast array of residential and commercial projects. 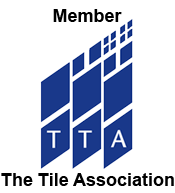 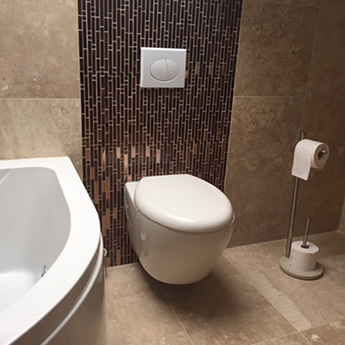 If you have an interior renovation on the horizon and would like to see how these tiles will look as part of your chosen layout then we highly recommend that you order a sample for a closer look.